Introduced in April 2012, the Youth Contract is a package of Coalition Government policies, backed by £1 billion of funding. The Youth Contract – by the Government’s own admission – forms the centrepiece of the Government’s attempts to reduce youth unemployment in the UK. It is intended to make it easier for employers to employ young people or give them work experience, and its ultimate aim is to provide nearly half a million new opportunities for young people including jobs, apprenticeships and work experience placements. The evidence so far has only proved the validity of those concerns. For example, a recent survey of 200 businesses by the Recruitment and Employment Confederation, the representative body for recruiters, showed that not a single one of those businesses had used the Youth Contract to hire a young person. Depressingly, a large proportion of the businesses surveyed had not even heard of the scheme. 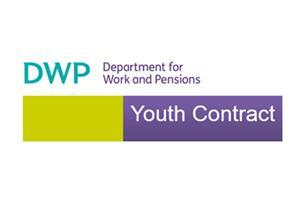 Worst of all, recent Government figures have revealed the failure of one of the main parts of the Youth Contract. One of the key measures was an offer of “wage incentives” – payments to businesses of up to £2,275 for taking on a young person who has been out of work for at least 6 months or is attached to the Work Programme. To be eligible, the Government requires employers to have employed the young person for more than 26 weeks (or 6 months), in a job where the young person works 16 hours or more each week. This scheme is available up until April 2015, with funding available for up to 160,000 wage incentives. “From April 2012 up to and including May 2013 there have been 21,460 ‘job starts’ – which is the number of a wage incentive forms issued to employers when young people are recruited. A wage incentive can only be issued where it played a part in the employer’s decision to select their candidate. In the first year of one of the central planks of the Youth Contract, there have therefore been only 21,640 wage incentive forms issued to employers when a young person has been recruited and the wage incentive has played a part in the employer’s decision to select that candidate. Wage incentive payments have been made for even smaller numbers – so far for only 4,690 young people. This is because wage incentive payments can usually only be claimed after a young person has been in work for 26 weeks, or 6 months. When we compare these figures to the 160,000 wage incentives which funding has been set aside for or the hundreds of thousands of young people who are unemployed in the UK, it is clear that the Youth Contract is not enough to deal with the challenge of youth unemployment. One year on from its launch, it is clear that the Youth Contract is not working, and the sooner the Government reforms or replaces it, the better.